March 2nd marks the birthday of the infamous Dr. Seuss. There are some really Seuss-tastical party ideas circulating the Web to honor the American writer and poet (like this amazing cake), usually revolving around his most famous works like The Cat in the Hat or Horton Hears a Who. 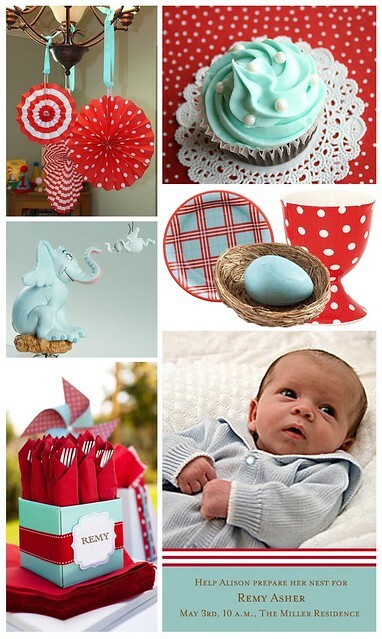 But one of my favorite Seuss stories is Horton Hatches the Egg, and it makes for a really unique baby shower or sip and see theme as it really emphasizes the sacrifices and rewards of being a faithful "parent."